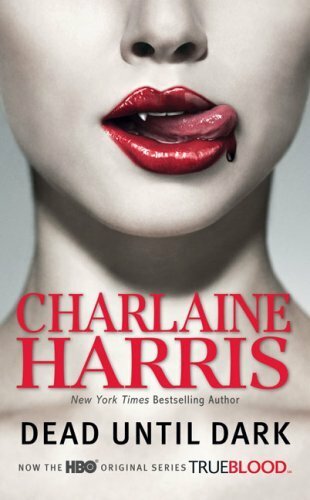 Other: The first book in the Sookie Stackhouse Series, officially known as the Southern Vampire Mysteries. There are 10 books published at this time: the eleventh book, Dead Reckoning, will be publised in May. And when one of Sookie's colleagues is killed, she begins to fear she'll be next. Dead Until Dark is the first of the ten Sookie Stackhouse novels out there at the moment. Sookie is a young and pretty waitress, who works at a bar. She can read minds, which causes Sookie to sometimes appear crazy. When Bill walks in the bar, she instantly knows he's a vampire - and she can't hear his thoughts. The book is the first adult vampire novel I've read and I have to say that I was disappointed. I expected a lot of this book since I hear lots and lots of people say good things about it. I ordered the box set for under € 25 so it's a steal at € 2.50 a book, but I don't know if I would have read any further if I only bought the first book. This is my problem: there is a lot going on in the book. There's a mindreader as a main character, which should give some interesting stories. There's a vampire (well, more than one). There's a murderer on the loose who kills Sookie's coworker. And there's even more going on - but I won't tell it, so I won't spoil it for you if you're planning on reading it. What I'm saying is that there is so much going on, that it couldn't possibly be boring. But yet, that's exactly what it is. Charlaine Harris may have written a bestseller (series), but I couldn't really be taken in by the story. It dragged on too long - and that's with all the mysteries, action and the, eh, other things going on in the book. I was really disappointed. Most of the characters were really flat as well. That's usually not really a problem, but some flat characters have a role that's interesting to read and I couldn't figure out who said what, because I couldn't see the difference between the characters. Having said that (Hi, Simon Cowell! ), I did finish this book rather quickly and I sortof enjoyed myself. I think. I still want to read the next book, and since I have the whole box, I'll probably end up reading the whole series anyway, but I didn't think this was a good book. Giving the benefit of the doubt - three stars. Honestly, it hoovers between two and three stars, so consider yourself lucky, Dead Until Dark. I really hope the story gets better!